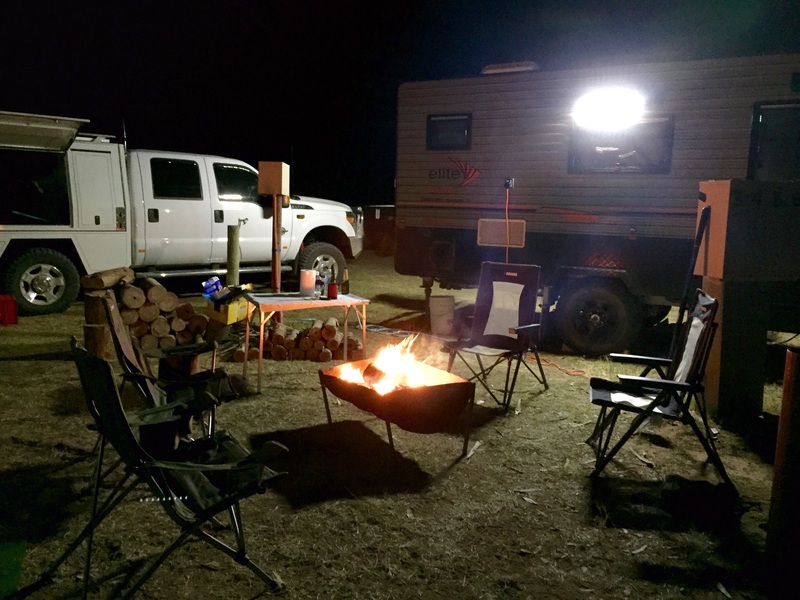 We made camp at the Ross River Station campground. A wonderful setting on the Binns Track. 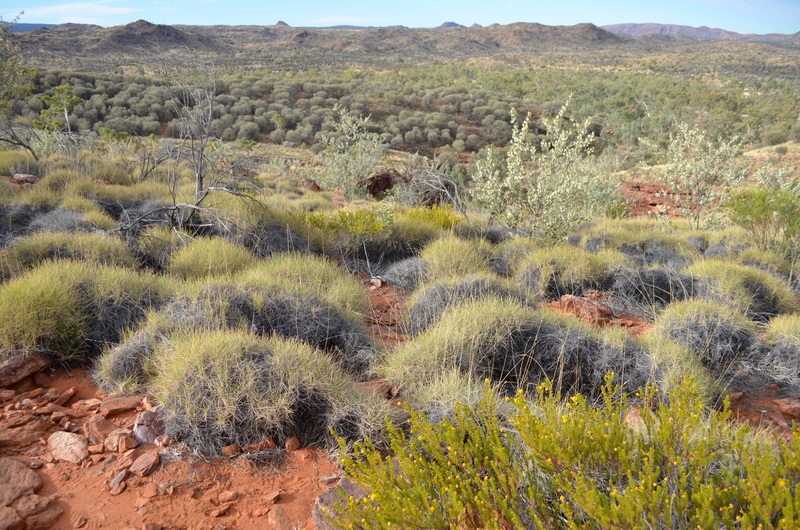 Nestled among Ghost Gums and guarded by the East McDonnell Ranges, the setting was peaceful and perfect. 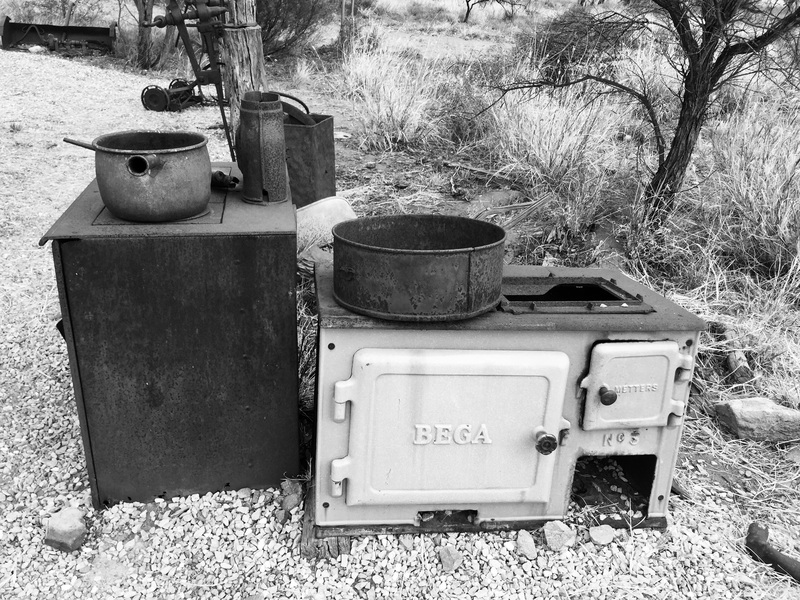 A roaring fire each night, damper and the strains of didgeridoo- so called when Barkley first heard the sound – thi s is not the Aboriginal name for the instrument. Our neighbour here was a man from the far north of Arnhem Land who is a maker of the instrument. 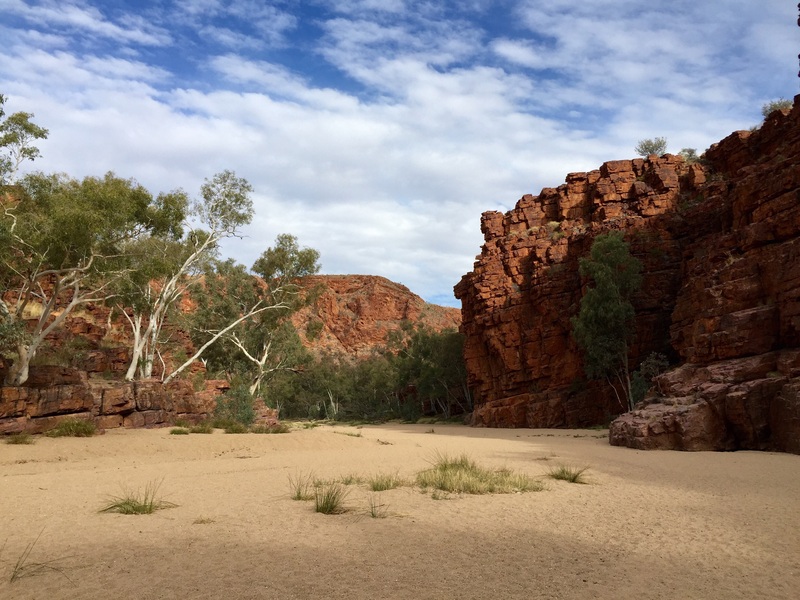 We gorged again – first driving along river beds, through wet and dry creeks and across rocks to N’Dahla Gorge and then we retraced our steps back along the Binns Track to Trephina Gorge. 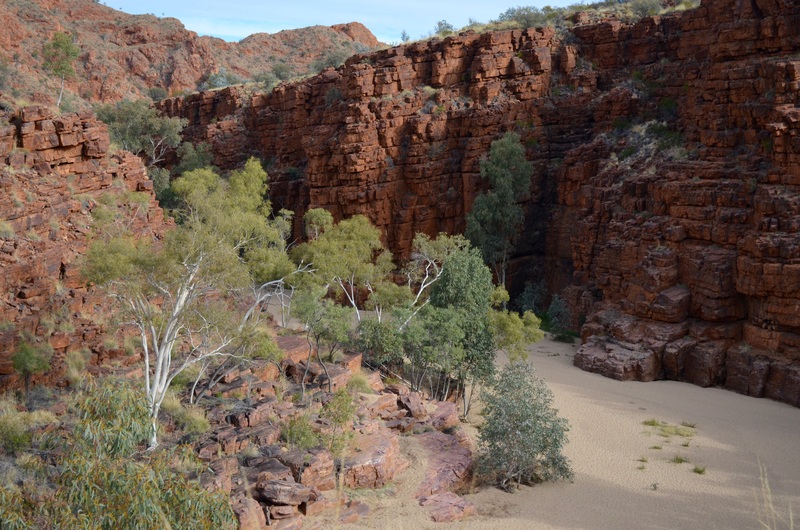 Deep red cliffs rising high above the white sand floor – the river forging a path over millions of years with ghost gums standing both tall and crooked, lining the route. 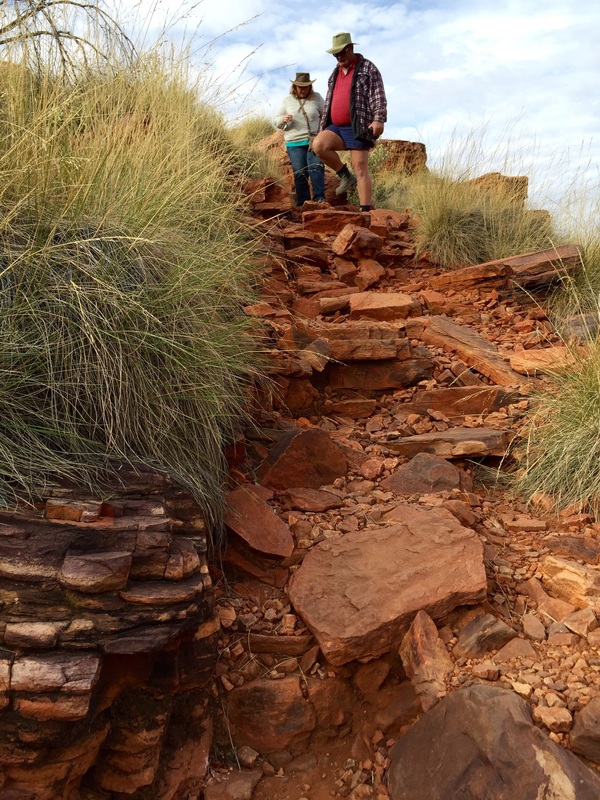 We walked through the gorge and fought the sand as it grabbed our feet. Then someone had the bright idea to return via the gorge rim. Off we set like mountain goats – clambering – on hands and knees at times – up, down and across the rock face that guarded the gorge. 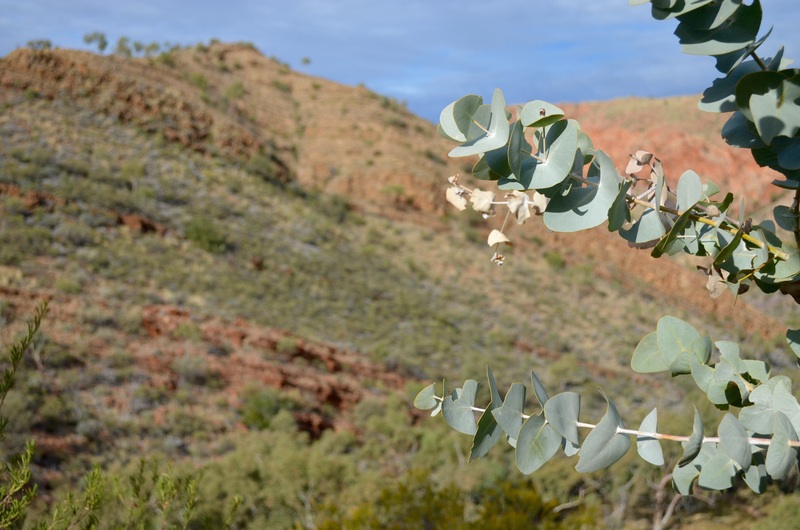 We gazed at the majestic 300 year old Ghost Gum that had its own signpost. 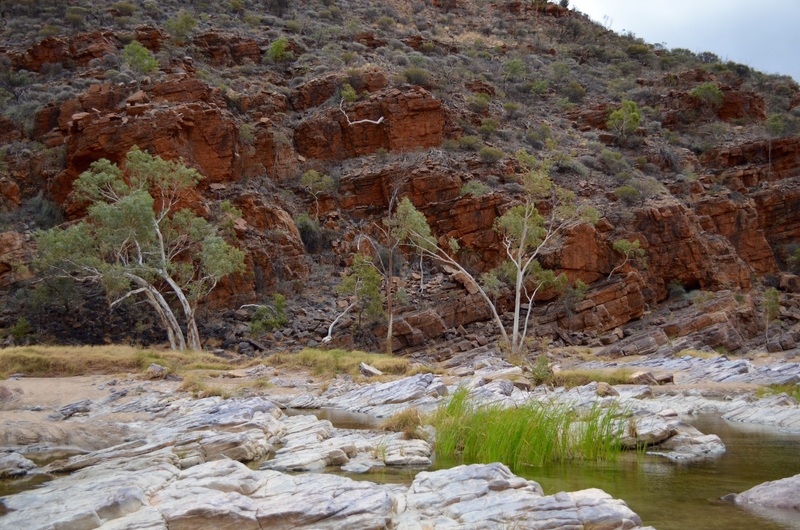 We visited Ruby Gorge – so called by the early miners who were extremely disappointed to find that they were worthless garnets. The miners headed west to Arltunga where gold had been found. 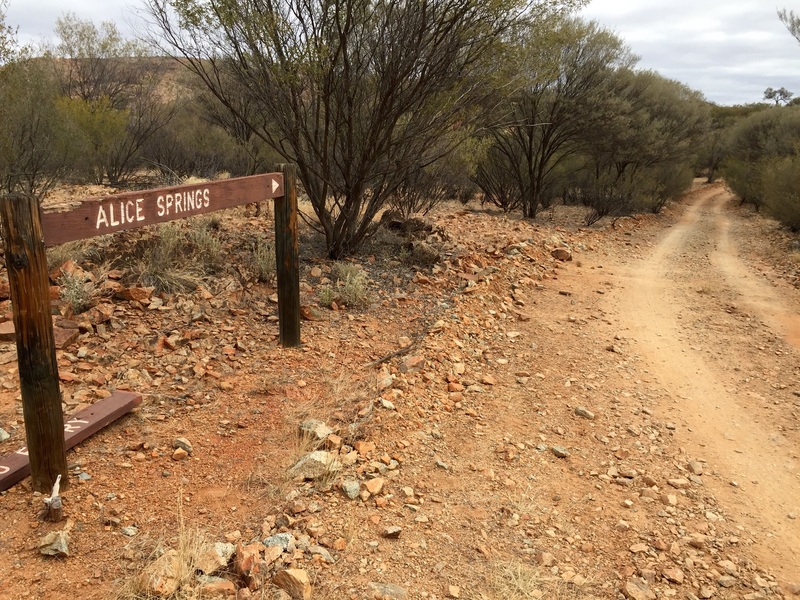 This desolate mining community struggled and worked to eventually provide a reason to develop a settlement in the Northern Territory of South Australia – Alice Springs. 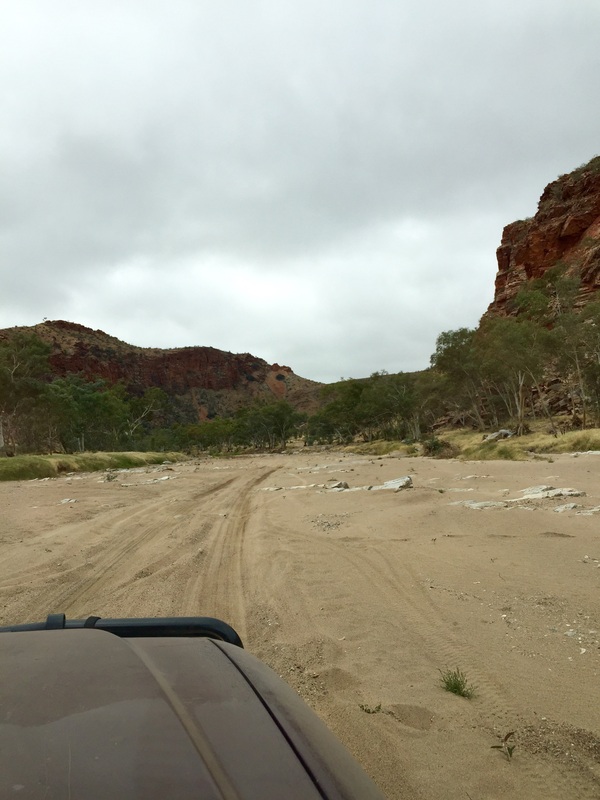 The road to Ruby Gorge started with corrugations and progressed to rocky paths, large rocks, and sandy river bed. The River Hale provided much of the route and we floated along on the wide sandy bed, dented mufflers on the large rocks as we climbed over them and lost an antenna on the low hanging branches – a big day out taking in 150+ km of tracks and wonderful, stunning vistas. We saw very few people and loved it. This side of the ranges is far less visited than the popular west. 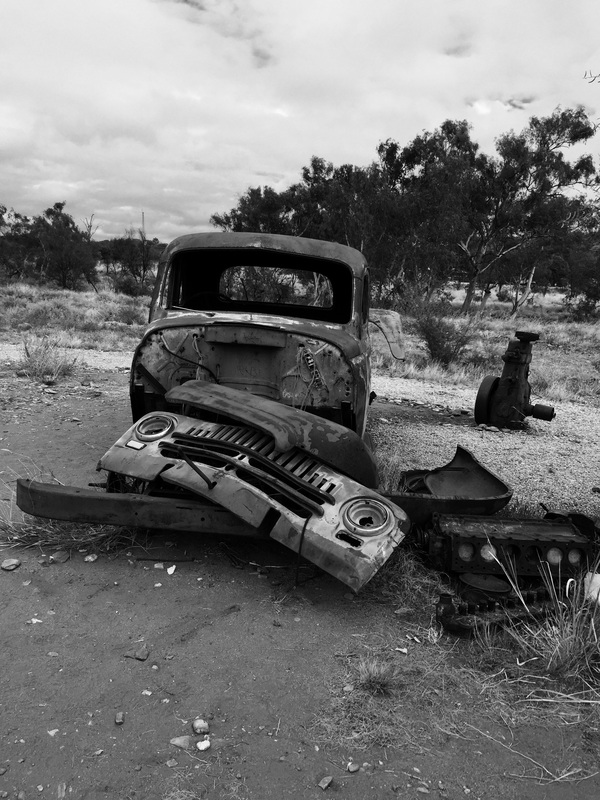 We are now heading south again, and will be off the bitumen and into the Oodnadatta track tomorrow. What a painter’s paradise, a REAL artist I mean, the colours are so exciting.